All Ubidots accounts begin with a single App that can be made available to users by way of a default or white-labeled App login portal. Each App in an Ubidots account, includes and follows the below hierarchical structure. 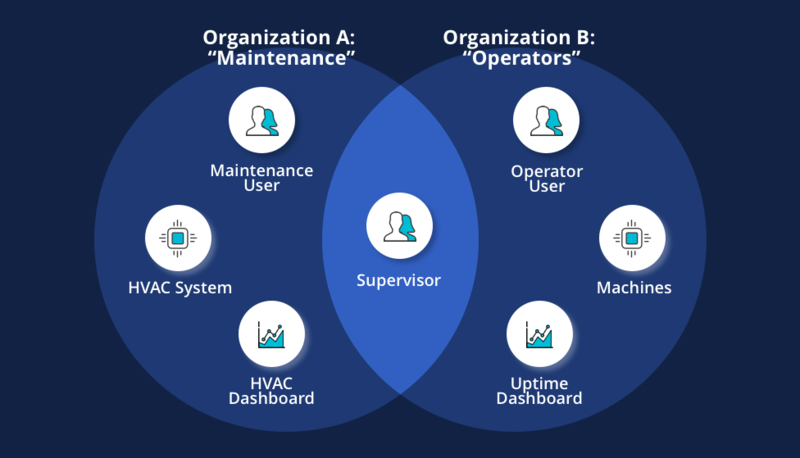 In this quick Roles Ubidots User Guide you'll learn to create, edit, and manage different user Roles to give users access to different aspects of an Ubidots App. 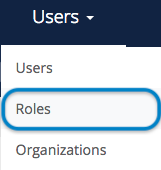 First, select the Roles tab from the main navbar. Then, click the "+" icon located in the top-right corner of the interface to add a new Role group. Add a title for the Role and description of the user group. Select or deselect any available permission allowing a user with this role to access the specific functionality of the designated permission. 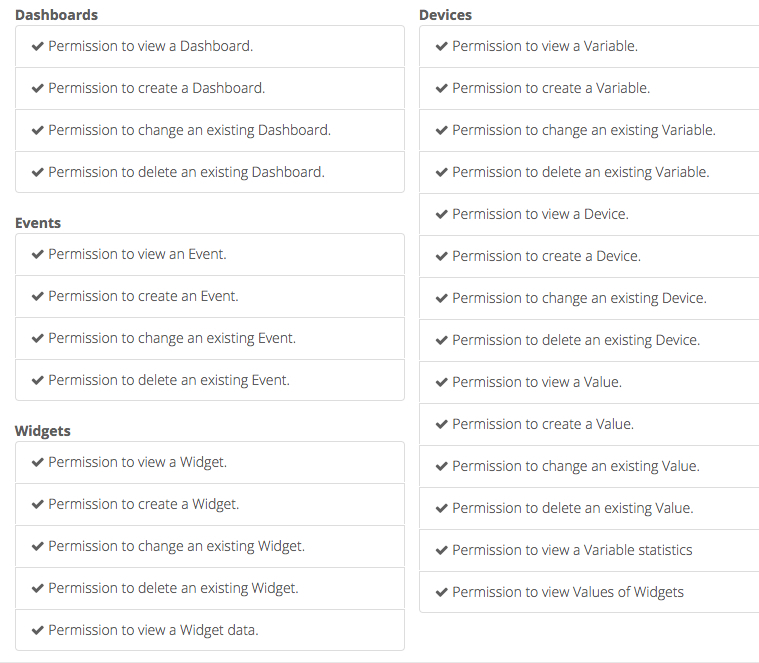 Create your own: using Roles, you can custom create user access permissions as you see fit.